Made in the U.S.A. Same quality features as our black rack, but with a white finish. For vans without gutters. Made in the U.S.A. Same quality features as our black rack, but with a white finish. For vans without gutters. Heavy steel 1.25" cross tube and wide mounting base provide for a maximum load capacity of 200 pounds. Two large holes in each mounting bracket allow for handy tie down location. 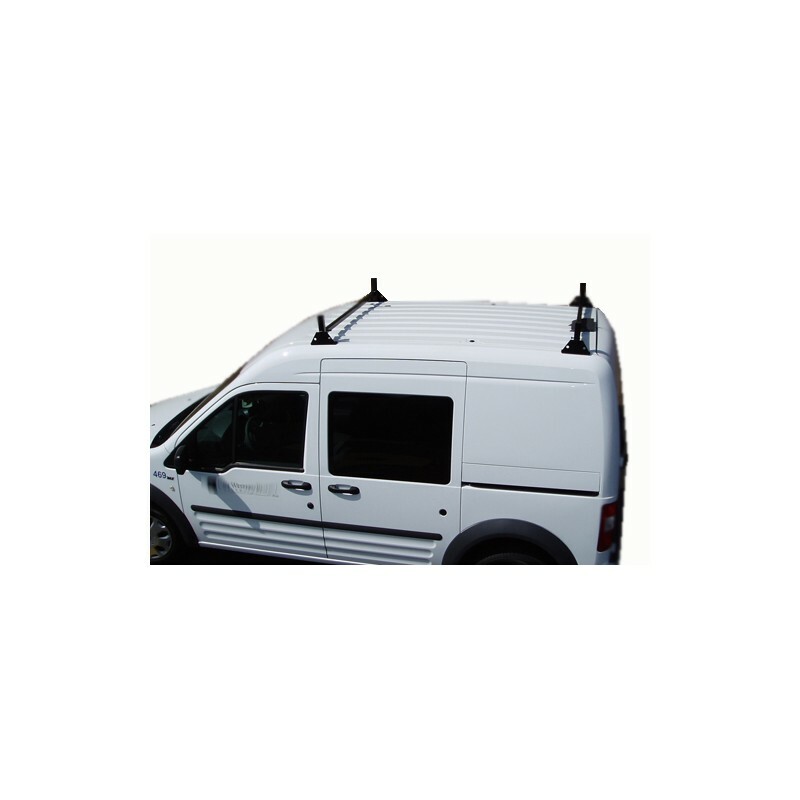 Extra wide mounting brackets mount to roof with specially designed fasteners to really hold on when you need to stop suddenly! Finished with a medium gloss white powder coating for good looks. (Black finish shown) Fits up to 54 1/2" wide roof. Supplied with all assembly and installation hardware and instructions. 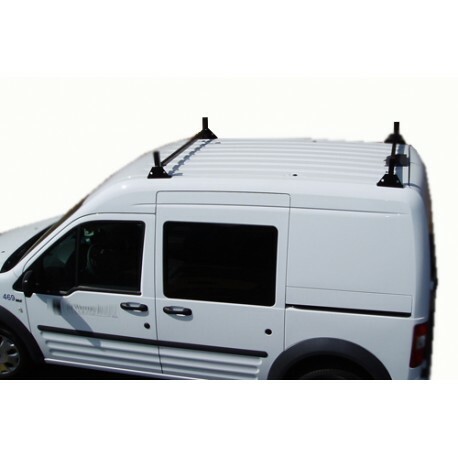 Note: since your van has no gutters, this product requires that holes be drilled into the roof of your vehicle.